Hi guys... I have been retro gaming for last 5 years and been on voyage to bring back the memory's of my local arcade as a kid! During this time I have toyed with supergun, retro consoles, mame using vga moniors Rgb scart tv's, Sony pvm / bvm monitors and xrgb scaler... But I still can't get the perfect picture! (Not like I rember it when I was a kid) I am running everything at native resolutions via rgb.. Just can't get the colours or sharpness bang on! Bvm appears to be good but too sharp to use in my arcade cab... And scanlines are massive! 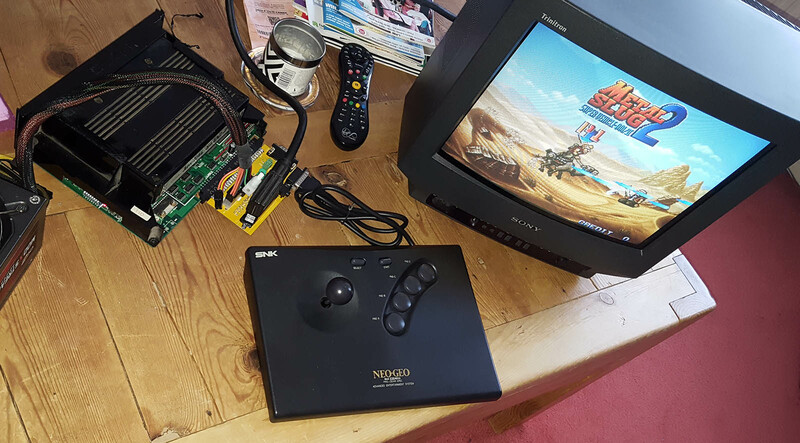 I wondering if anybody can offer some advice on switching to a arcade monitor for my mame / supergun rig.. And if the switch to arcade monitor is worth it? Ie. Picture quality, cost and how reliable will these old monitors be! Thanks guys! could you adjust the focus a bit on the bvm so it is not such as sharp picture? My advice: Buy a Taito Egret 2 or a Sega (New) Astro City. They come with a Nanao MS8/9 - one of the best low-res-monitors I've ever seen. Usually they are also very reliable. Hi guys thanks for the kind replies! I could try adjusting the sharpness pot from inside the monitor but I did not want to mess around .. As the pot is awkward position. The chances are the end result would still not be ideal compared to arcade monitor. Not after astro cab.. Would be a ball ache to get into the house plus already got a cab... Guess I need to get a big arcade monitor that displays very good quality picture at low resolutions. What's a MiniKAB 2 lol! ... Guess I need to get a big arcade monitor that displays very good quality picture at low resolutions. Hi Joe, yeah I do stand or sit really close to my cab.. I have this issue on my 20 inch Bvm lol! I thought a 25" quality arcade monitor would be resolve all my problems lol! I don't recall having this issue on sf2 arcade or neo geo MVS games many years ago.. I use to play mainly fighting games..
Well I got a 6inch pvm and 9 inch bvm connected via BNC rgb cables.. Both mame and Neo Geo MVS are pucker on these monitors.. Too small for my cab duo lol! They are normally 14" although you can get some 13" models. if you are looking for a arcade monitor look you might be better off with a 19" + consumer tv set with about 600 tv lines or less, that has a rgb scart connector on it. Only reason I recommended an amiga monitor was because it has a sharp picture but without the prominent scanlines. Having said this, all arcade monitors look differently as well so it's really hard to answer your question. not too sharp and most likely was used in at least some the games you remember from the past. It's a pretty obvious thing to say, but sharpness also depends on the line count of your PVM/BVM. I agree the Sony monitors are too sharp compared to arcade monitors I remember, but then I'm also remembering the battered old monitors of seafront arcades where the tube was on it's way out. It's only a 14", but I always found an Amiga 1084(s) monitor to be quite a nice alternative to a PVM/BVM, but depends on your setup I guess.